The 2017 Connecticut Renaissance Faire is done! It was a great run, one of the best ever at that show, but I’m glad it’s over because I’m kind of exhausted — and ready to get back to writing on the weekends. I’m just happy I found time to get The Adventures of Strongarm & Lightfoot – Blades of Glory prepped so people weren’t waiting around for that release. 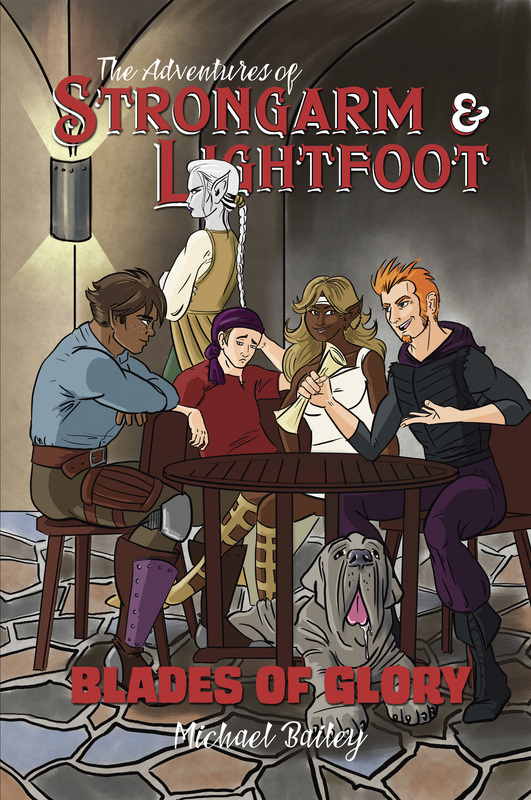 Speaking of which, book three in the Strongarm & Lightfoot series is now available in paperback at Amazon! I will be adding it to the website’s online store soon, and you can now grab the e-book version by clicking on the Buy Now link. Before you order a print copy, you have a chance to win one of five signed print copies. Want to know how? Well, if you’re a newsletter subscriber you already know how. If you’re not a subscriber, click the link at the bottom of the page and join the fun! I’ve teamed up with more than 20 other superhero fiction writers for a special month-long giveaway promotion. Jump over to our group page on Instafreebie and choose from several titles for all ages and tastes. Sign up for their newsletters and get a free e-book as a thank-you. Sign up for my newsletter and you’ll get a copy of Action Figures – Issue One: Secret Origins! If you know anyone who might be interested in this promotion, please spread the word. Well Behaved Women: No progress since last week. Bah. Action Figures – Issue Seven: The Black End War: Fourth draft finished, ready for editing. In case you missed the announcement last week, I’m the Sharon Public Library’s author of the month for October. Pop on over to read my interview, as well as past interviews with other local authors. Could you provide a link to the page on Instafreebie please?